There is something about Sophie Shepard. 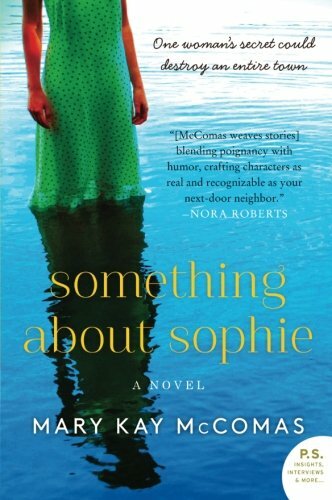 It’s not the suspense or the romance that keeps this new novel by Mary Kay McComas clicking along, but Sophie—a feisty redheaded kindergarten teacher who hates to be called perky. Drawn somewhat unwillingly to a small Virginian town by a series of letters from Arthur, a dying old man she doesn’t know, Sophie arrives in search of answers she’s never really longed for. She’s had a great childhood, and her adoptive parents were all she’s ever known or wanted. Perhaps it was her mother’s death from cancer that changed her mind, causing her to seek answers about her birth parents. Almost immediately she finds herself in the middle of a small town that lodges more secrets than it does inhabitants. Sophie has arrived, alas, a day too late. The old man Arthur is already dead. But it wasn’t the cancer that killed him. Thrust in the middle of a series of events that include murders, disappearances, strange bequests, and a promise of love, this self-proclaimed girl of flint, manages to enthrall most of the town. With the help of an assortment of new friends, Sophie, slowly and unpleasantly, discovers Arthur’s long held secret. “Women of flint don’t cry until after all the crimes are solved. When asked who she’s going to call, Sophie goes on talking. One hundred and ninety-eight words of elucidation later we find out who she’s going to call. These long, drawn-out expositions by the story’s various characters dominate this novel. This annoyance is softened, however, by Sophie’s well-executed character development, inclusion of other likable characters, and a healthy sprinkling of snap. Ms. McComas’s notable ability to construct an enjoyable character driven plot is what puts this novel ahead of many in its class.